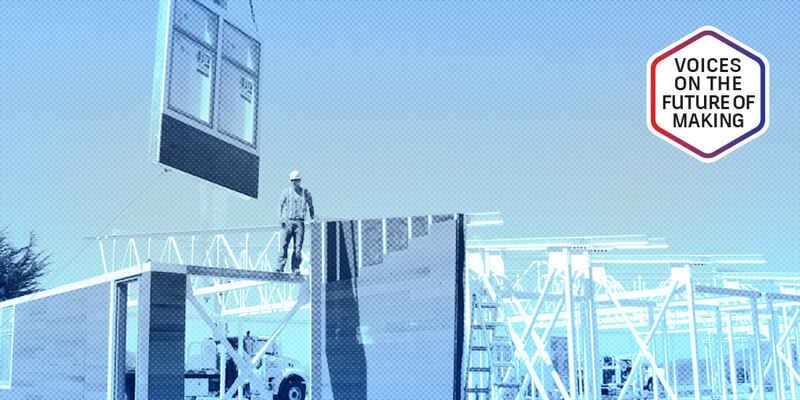 Project Frog designs prefabricated building systems as "kits" that are shipped to jobsites in flat packs. Courtesy Project Frog. Mike Eggers. Courtesy Project Frog. How will technology and innovation drive the future of making in construction? The cloud is probably going to be the biggest component of driving change in our industry and industrialized construction. The existing conditions and global population growth—10 billion people by 2050—coupled with the lack of skilled labor requires scalability in construction. The cloud is a core component of scalability, and how you can tie a cloud-based technology platform to a kit of parts or a repeatable building system is going to be a core piece of this, because it’s not just a problem of doing work faster or better. You can’t scale without the cloud to achieve the convergence we need across stakeholders, software developers, and development environments. With a kit of parts—a series of components, modules, wall panels, or a combination thereof—we can quickly design millions of different building types. Industrialized construction is inherently data driven, and there’s data that can fit on each component. It could be cost, manufacturing instructions, installation instructions, structural properties, scheduling, lead times, etcetera. By using a kit of parts, Project Frog can quickly design millions of different building types. For the Watkinson School in Hartford, Connecticut, the firm executed a 3,500-square-foot fast-track project to build three interconnected, energy-neutral classrooms to support the school’s Science and Global Studies program. Courtesy Project Frog. The advantage of working in this way, with the data sitting at the center in the cloud, is that we can quickly assemble a building with web-based tools and get instant feedback for things like cost and schedule, things that in the traditional way of working require inefficient iteration loops of design, engineering, pricing, and value engineering. 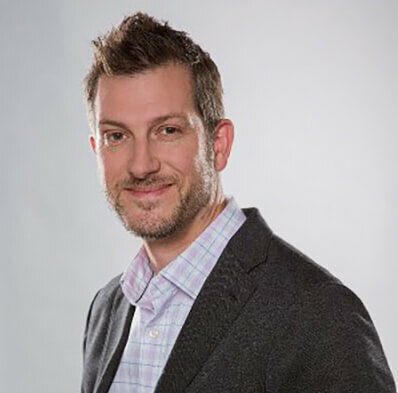 The only way you can create a scalable, rapid solution is to have cloud connectivity and have data sit at the center. What challenges does the construction industry face now, and what challenges do you anticipate in the future? Think about the housing trench in California without skilled labor. What do we do? And on top of that, there are natural disasters, such as the recent wildfire that burned down the town of Paradise. We just don’t have the labor force or resources to do this traditionally. We also have a lot of existing infrastructure that’s deteriorating and unsustainable—old buildings and structures that are wasting energy. If you think of it in terms of building a sustainable infrastructure for the future, we actually have to rebuild a lot. The exciting thing is, we have the pieces in place today. We didn’t have cloud-connected tools 10 years ago. We had to cobble things together between spreadsheets and disconnected environments. Now, everybody’s seeing the problem, and we actually have the tools. Also, platforms that developers converge around are meaningful to an industry. You think about iOS or Android or Salesforce as a platform. The AEC industry needs that now, and Autodesk Forge is an example of that. It’s not going to be 10 desktop applications—even if they’re cloud-connected—solving this problem. It’s going to be those 10 applications plus 10,000 other applications built on the same platform that can talk to each other and fill in numerous workflows that are particular to different stakeholders. Uber is a great example of an entire industry reliant on mobile as a platform. It wouldn’t exist without mobile platforms being dominant. Missed our Redshift Live webcast event? Watch it on demand. Another thing that could challenge the industry is if there’s a large downturn in the economy. We don’t manufacture in house at Frog. We work with manufacturers, but it’ll be interesting to see how manufacturers—with huge capital expenditures—will weather the storm when their factories are tooled and set up to do a specific building typology or work in a certain structural system or material type. How will they accommodate ebbs and flows in the economy? 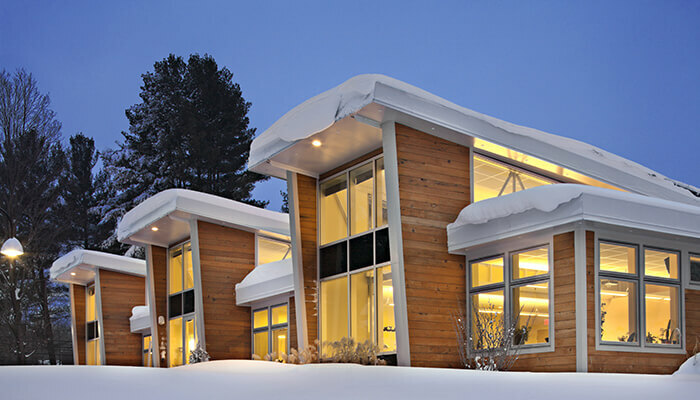 What if, for example, multifamily housing cools off in a few years? What do you do with that capacity? We have to think about making building systems flexible enough to weather dips and dives in the economy. Also, regulatory requirements are tough, and we’ve seen this pain personally at Frog. We can design a building and produce shop drawings in a week, but then it may sit in regulatory for four or five months. That’s a big impediment to scale, and it’s a piece of the puzzle that is not very incentivized to change right now. What do you envision for the future of the construction industry in 25, 50, or even 100 years? In the future, we’re still going to have complex projects, like Frank Gehry–type buildings and Olympic stadiums, but many buildings act more like products. It’s exciting to imagine a point when architects won’t spend as much time drawing the building, and what I mean by that is putting together permit sets and doing rote, manual, repetitive work that nobody enjoys. Architects, myself included, love designing the detail. I don’t particularly enjoy putting general notes on a permit set to get into regulatory and doing it again and again and again. If we eliminate repetitive, redundant work and put the value of talented, highly intelligent designers into a product approach, then the downstream production of calculations and documentation becomes highly automated, and designers get to spend less time drawing buildings and more time designing building systems and products. 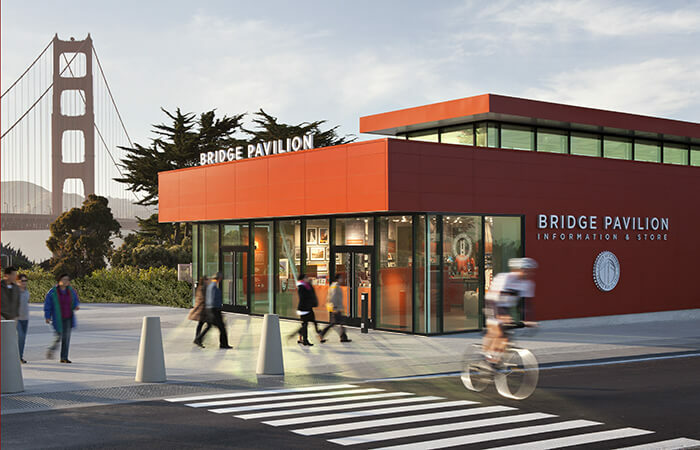 The iconic visitor pavilion at San Francisco’s Golden Gate Bridge, delivered in 2012 to time with the bridge’s 75th anniversary, demonstrates the Frog Kit’s flexibility and aesthetic potential. Courtesy Project Frog. What kinds of jobs do you think will be created in the future that don’t exist today? All architects became drafters once we had CAD [computer-aided design] and BIM [Building Information Modeling]. If we don’t have to draw buildings as much anymore, it starts to shift away their role in making buildings. Architects could evolve to become more like data scientists, using generative design and looking at hundreds or thousands of different possible variations or outcomes on a problem. That’s a different way to think about making a building or city. The typical way I’ve worked as an architect, there’s a limited budget and amount of time, so clients get two choices, and usually one choice, you don’t want the client to pick. But what if I can give myself a thousand choices and pick from those? The more I can iterate, the more I can make better decisions. Even if I still only give the client two options, I’m operating on a lot more information than just my own decades of experience and limited time.